Fertilizer can help your plants grow healthier. Dyna Grow fertilizer can help keep your indoor and outdoor plants looking great year 'round. All you need to provide to your plants after adding Dyna Gro is light and water. After you've planted your garden or transplanted a flower in a pot, nutrients are absorbed through the roots of your plant. After a length of time, most of the nutrients are taken out of the soil for use by the plants. Until those nutrients are replaced, the plants will no longer be able to absorb what they need. One way to replace these essential nutrients is to add Dyna Grow fertilizer to the soil. It adds essential macro and micro nutrients back into the soil to ensure the optimum health for your plants. What does Dyna Grow Fertilizer provide that your plants need? The following is a list of the 17 elements necessary (along with air, light and water) for proper plant growth. If you're just starting out your plants, you can use a special growing medium developed by Dyna Gro. One of their products for starting seeds out right is called Neem Seed Meal Organic Fertilizer. This growing medium will get plants started off right with a slow release of phosphorus, magnesium, potassium and calcium. Dyna-Rok II is a growing medium, which gives plants a slow release of silicon. It can be used by itself or as topdressing in flowering gardens. This growing medium has been shown to be beneficial in rose gardens, helping to produce stronger plants and more blooms. In addition, it can be used in place of tree bark mixes that can contribute to root rot that affects plants such as roses and gardenias. Mag-Pro 2-15-4: This is used as a bloom booster. It contains magnesium, sulphur and phosphorus. Add this to your watering schedule. Pro-TeKt 0-0-3: Give this to your plants to make your plants less susceptible to sucking pests and to increase cell wall strength. This liquid supplement contains silicon and potassium. Liquid Grow 7-9-5: This provides all of the nutrition that your plant will need to thrive. It is especially helpful for gardeners that have rocky soil. It may also be used as a foliar spray. Its fertilizer contains all of the macro and micro nutrients that plants need. Liquid Bloom 3-12-6: This provides all of the nutrition that your flowering plants need. 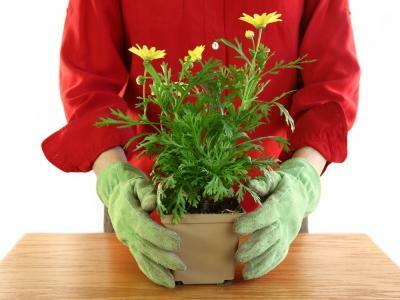 It will encourage larger, healthier blooms from your plants. Apply before the buds appear each growing season. Foliage-Pro 9-3-6: Used to improve the health of indoor plants. It helps to reduce salt build up and increases mineral absorption by the plant. All-Pro 7-7-7: This fertilizer will provide your indoor or outdoor plants with complete nutrition. May also be used by gardeners using hydroponics. Hi-N-Pro 10-5-5: This liquid plant food will provide plants with an extra boost of nitrogen. A few of the plants that can benefit from this liquid fertilizer include bamboo, foliar plants and palm trees. As with any fertilizer, following the directions carefully is necessary to prevent adverse effects to plants. Follow the directions before dosing your plants with fertilizer. The end result should be healthier, stronger plants with blooms and fruits that will be the envy of the neighborhood!